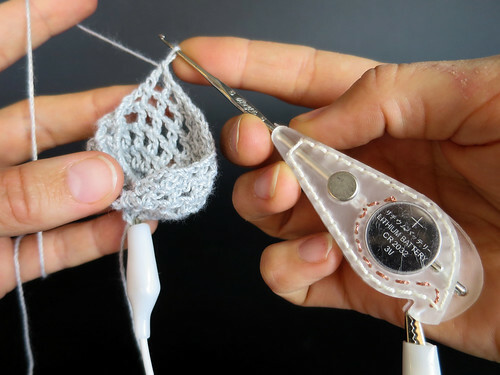 A vibrating resistance meter for crochet – this crochet hook translates electrical resistance into vibration, making electrical resistance a tangible property of an E-Textile making process. The Ohm Hook allows you to develop an electrical sense for the materials you work with. For example, if you are crocheting stainless steel yarn to make a stretch sensor you can tailor your design to the range of resistance you want because you immediate feedback on the resistance of what you are making. 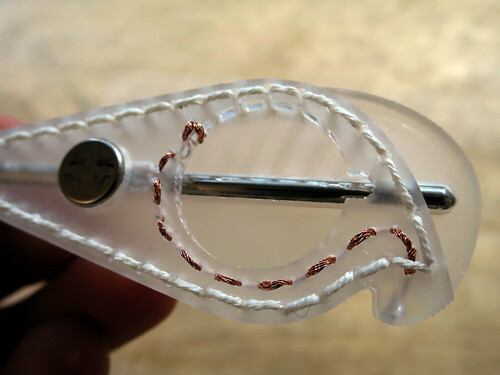 The ohmHook is made by cutting and stacking pieces of clear acrylic, and sewing them together with thick thread. The circuitry is contained within the layers of the acrylic and remains visible. To use as few elements as possible, I sought to use materials for both their electrical and material/mechanical/aesthetic properties. 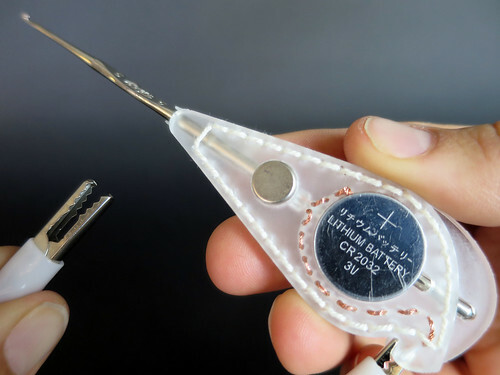 For example, the shaft of the crochet hook is itself the negative lead to the coin-cell battery. 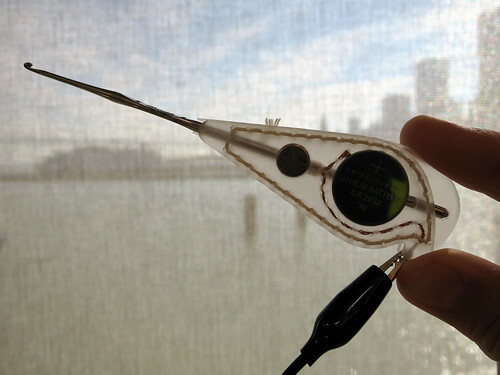 The ohmHook is part of a series of tools for e-textile techniques that are motivated by a desire for MORE tools and LESS parts when it comes to building electronics. So many electronic functions are compartmentalized into discrete parts. These parts make up the tool-set of most engineers/designers/makers who build electronics. 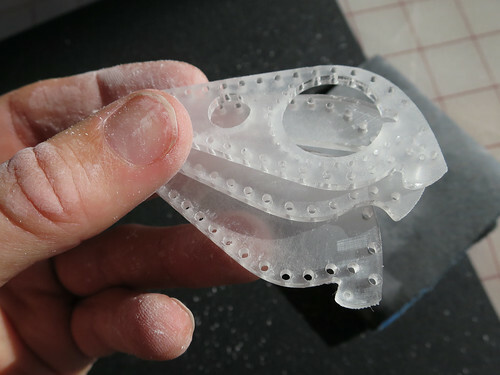 And while they make it easy and fast to prototype and build electronics, these parts also end up defining and constraining how we make and what we can build. By making tools that allow us to create our own parts, I hope to encourage a greater electronic diversity.